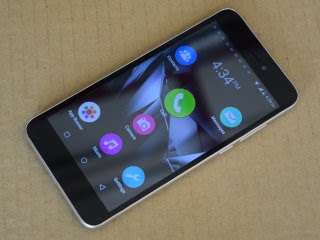 Indian domestic cell phone handset manufacturer Micromax launched the Canvas Spark 2 Plus SmartPhone recently, an ultra-low price under Rs 4,000. The unit should provide a smooth transition from traditional cell phones to SmartPhones, without causing sticker shock with the higher price of other brands. The Canvas Spark 2 Plus blends affordability with technology in one device, making it an attractive option for new users. The large 5-inch IPS display on the Canvas Spark 2 Plus will appeal to many people who are making the transition because they will enjoy viewing images and photos inside with either 4 GB or 8 GB built-in storage configurations. Internal memory is expandable up to 32 GB using a micro-SD card. Users will enjoy the power of the 1.3 GHz quad-core processor and 1 GB RAM, too. This Phone gives a good competition for android phones under 8000 in india market. The Canvas Spark 2 Plus also runs the advanced Android 6.0 Marshmallow OS immediately out of the box, along with the Micromax UI on top. It comes pre-loaded with support for ten regional Indian languages, the FirstTouch app launcher, and many other apps. Connectivity options include 3G, Bluetooth, Wi-Fi, GPRS/EDGE and dual-SIM card slots. A 2000 mAh battery provides up to 324 hours of standby time. The phone comes with a 5-MP rear camera, including LED flash, plus a 2-MP front selfies camera. The Canvas Spark 2 Plus SmartPhone by Micromax is available in Champagne Gold, Copper Gold and Metallic Grey.